My Dad's big old Ford truck hauled many a load of grain to market in its day but now it sits out in a pasture like a colorful statue, growing rust. The shiny chrome door handle invites us to consider it as still capable, but the excessive rust tells the truth: all its productive days are past. I was drawn to the play of contrasting colors, shadows and lines brought out by the sunset. Colored pencil on UArt 600 paper. Exhibited in Pencil Art Society International Juried Exhibition, 2014. 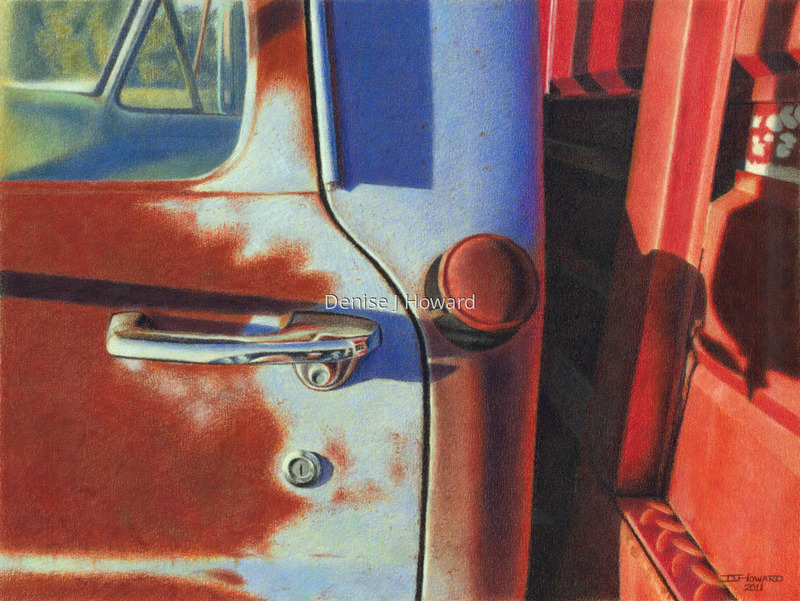 Highly Commended, UK Colored Pencil Society 11th Open International Exhibition, 2012.